Time to Hang Up the Old Dredge? Suction dredge on the Salmon River, 2007. It looks like gold mining in California’s rivers is about to get a little harder. The Department of Fish and Wildlife is asking the state to close a loophole in a 2009 ban on suction dredge mining. Fish lovers and gold bugs have been at odds for years. The moratorium, scheduled until 2016, was issued to give the state enough time to figure out new regulations and how it would pay to enforce them. But the moratorium contained some ambiguous language, including the definition of a suction dredge as a hose, a motor and a sluice box. Undeterred, clever miners realized they could simply take off the sluice box and voilà! — it’s no longer a dredge. Instead of being sorted aboard the dredge, all that gravel, and the bits of gold mixed in, is pumped onto the bank or another container for sorting. The technique is clearly diagrammed on at least one gold advocate’s website. If Fish and Wildlife’s proposed changes go through, the language defining a dredge will be removed — making it clear that sucking gravel from the river bed ain’t OK. Manual techniques — gold panning, for example — are allowed. The changes are a response to a March petition from the Karuk Tribe and other environmental groups and will be subject to a five-day public comment period sometime after June 17. Click through to read press releases from Fish and Wildlife and the Karuk Tribe. The California Department of Fish and Wildlife (CDFW) is proposing an emergency rulemaking to amend an existing regulation defining suction dredge mining. CDFW is taking this action to close an apparent loophole that may allow activity that goes against the spirit of the legislative moratorium prohibiting the use of any vacuum or suction dredge equipment for instream mining. CDFW provided notice of the proposed emergency action earlier today. Consistent with the Administrative Procedure Act, CDFW will submit the related rulemaking package to the Office of Administrative Law (OAL) no sooner than Monday, June 17. After OAL posts notice on its webpage, the public will have five calendar days to submit comments. Interested members of the public may want to begin monitoring OAL’s webpage (www.oal.ca.gov) beginning June 17. For specific regulatory language of CDFW’s proposed emergency action, or additional information about the moratorium and suction dredge mining in California, please visit www.dfg.ca.gov/suctiondredge. If you have any questions regarding this proposed emergency action, please contact Craig Martz, CDFW Regulations Unit Manager, at (916) 653-4681. Related comments or questions to CDFW can also be submitted to suctiondredge@wildlife.ca.gov. In response to an emergency request from a coalition of tribal, environmental and fisheries groups, the California Department of Fish and Wildlife proposed emergency rules today to crack down on an upsurge of unregulated suction dredge mining in the state. The environmentally harmful mining process has been banned in California since 2009, but early in 2013 miners began making equipment modifications to suction dredges to exploit a perceived “loophole” in the ban. Today’s proposed regulations would close the loophole to better protect the environment, water quality and cultural resources from the toxic effects of suction dredge mining. Suction dredge mining uses machines to vacuum up gravel and sand from streams and river bottoms in search of gold. California law currently prohibits “any vacuum or suction dredge equipment” from being used in California waterways. But because narrow state rules previously defined a suction dredge as a hose, motor and sluice box, miners are simply removing the sluice box — an alteration that leaves dredge spoils containing highly toxic mercury piling up along waterways. The sluice box is one of several methods to separate gold from dredge spoils. Unregulated suction dredge mining harms important cultural resources and state water supplies. It also destroys sensitive habitat for important and imperiled wildlife, including salmon and steelhead trout, California red-legged frogs and sensitive migratory songbirds. 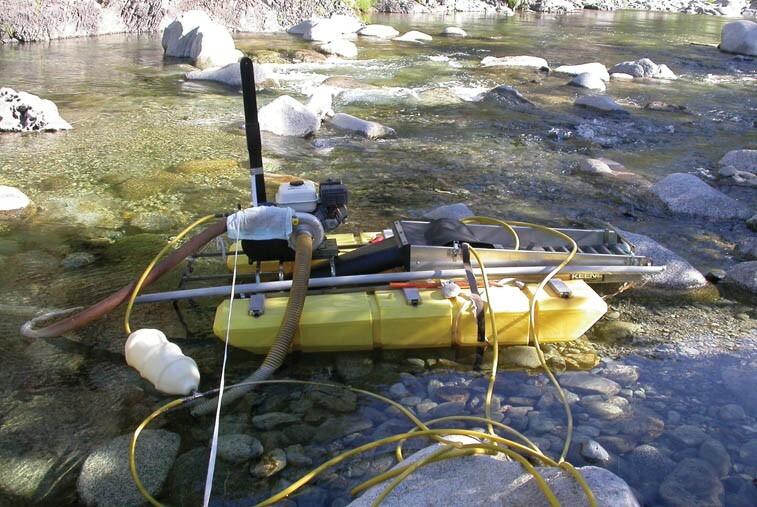 The Environmental Protection Agency and State Water Resources Control Board urged a complete ban on suction dredge mining because of its significant impacts to water quality and wildlife from mercury pollution; the California Native American Heritage Commission has condemned suction dredge mining’s impacts on priceless tribal and archeological resources. The coalition that submitted the formal rulemaking petition includes the Center for Biological Diversity, the Karuk tribe, Pacific Coast Federation of Fishermen’s Associations, Institute for Fisheries Resources, Friends of the River, California Sportfishing Protection Alliance, Foothills Anglers Association, North Fork American River Alliance, Upper American River Foundation, Central Sierra Environmental Resource Center, Environmental Law Foundation and Klamath Riverkeeper. The coalition is represented by Lynne Saxton of Saxton & Associates, a water-quality and toxics-enforcement law firm. Suction dredge mining has a history of controversy. California courts have repeatedly confirmed that it violates state laws and poses threats to wildlife, and the state government has placed a moratorium on the destructive practice. Last year California Gov. Jerry Brown continued a moratorium initiated by Gov. Arnold Schwarzenegger on suction dredge mining until the state develops regulations that pay for the program and protect water quality, wildlife and cultural resources. In March 2013 a coalition including environmental organizations, fishermen and the Karuk tribe submitted a formal petition to the California Department of Fish and Wildlife asking the agency to close a loophole that allows recreational miners to return to suction dredging by making equipment modifications that sidestep state law and worsen impacts to the environment. State wildlife officials made good on their promise from a March letter denying the coalition’s original emergency request due to lack of evidence of miners engaged in the prohibited activity. In that letter, they promised to not sit idly by if on-the-ground evidence was provided that showed individuals using suction dredge mining equipment. The coalition provided such evidence resulting in today’s announcement. The harm done by suction dredging is well documented by scientists and government agencies: It damages habitat for sensitive, threatened and endangered fish and frogs, and releases toxic mercury plumes left over from the Gold Rush into waterways. Causes substantial adverse changes statewide in American Indian cultural and historical resources.